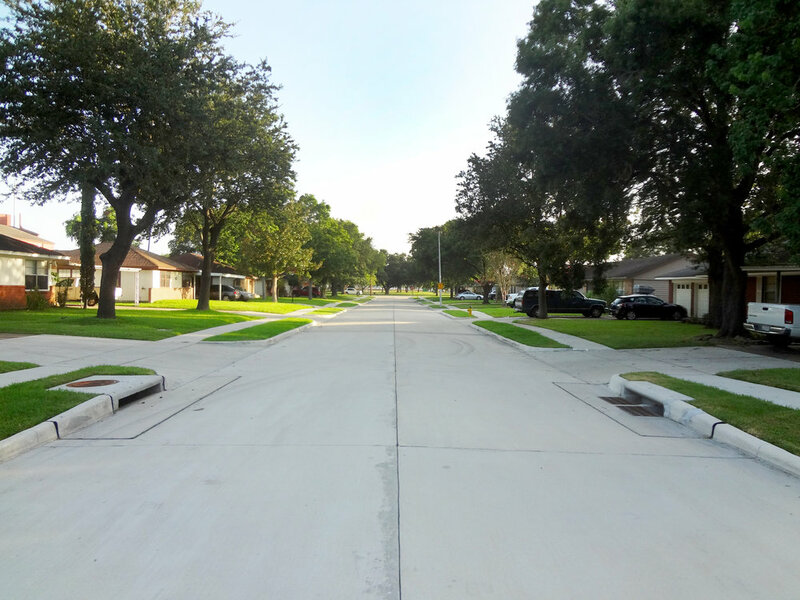 Norwood Street Reconstruction and Utility Replacement — Binkley & Barfield, Inc.
BBI provided engineering services for the pavement reconstruction and utility replacement along Norwood Street in Deer Park, Texas. The scope of this project included assessing the pavement, storm sewer, and water lines within the project reach for replacement. A PER was written and design drawings were prepared. Approximately 7,000 SY of pavement was reconstructed along with 1,500 linear feet of storm sewer, and 2,000 linear feet of water line. The construction cost was $1.2 million. BBI prevented the City from having to pay for a ”no-impact study” by not modifying the existing storm sewer pipe that outfalls into a HCFCD ditch. BBI’s preliminary assessment identified the existing outfall as being of sufficient capacity to handle the standard design storm event, thereby saving the City the additional design fee.